The Children’s Film Festival in Seattle celebrates it's 11th anniversary, becoming the largest and most respected film festival on the West Coast dedicated to children and their families. Most Festival events are held at Northwest Film Forum, 1515 12th Avenue between Pike and Pine on Seattle’s Capitol Hill. The Pancake Breakfast is held at the Greek Orthodox Church of the Assumption (1804 13th Avenue). A few screenings for school groups will take place at Rainier Arts Center, 3515 South Alaska Street, though most school group screenings will take place at Northwest Film Forum. Admission to most festival programs is $6 for Film Forum members, $8 for children under 12 and seniors, and $11 general admission. There is special pricing for the Pancake Breakfast and festival passes are also available. 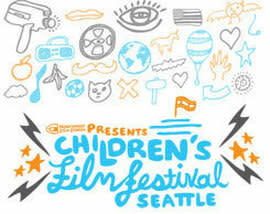 Tickets may be purchased by phone at 1.800.838.3006, online at childrensfilmfestivalseattle.org or in-person at the Film Forum box office, which opens 30 minutes before the first daily show time. Advance ticket purchase is highly encouraged, as many shows sell out in advance. Celebrate the best and brightest in international cinema for children, featuring live performances, animation, features, shorts and hands-on education workshops, all crafted with care for the next generation of movie lovers.